There is a clear demand by the healthcare industry for Evidence-based Health Coach Certification based on an individual's clinical expertise, knowledge, and licensure/credentials to practice. The National Society of Health Coaches works closely with its Professional Advisory Board, professional practice associations, MINT Trainers, and others in professional and private practice to establish its standards for core competencies, training, and testing. NSHC's Code of Ethics and Standards of Practice are based on those of the American Medical Association (AMA), the American Nurses Association (ANA) and the International Coaching Federation (ICF). NSHC's self-study program, Evidence-based Health Coaching (EBHC)® for Healthcare Providers, 4th Edition, is uniquely designed for the busy healthcare professional and allied healthcare provider. On average, 85+ hours of focused self-study and practice are generally commensurate with testing success. However, differences in individual study habits, reading speed & comprehension should be taken into account. NSHC's Self-Study Program includes either a Hardcopy Manual or E-Manual (for those that prefer to study online at our website). The E-Manual is "read-only" - not downloadable, editable or printable. Both study manuals include the same exact content and printable forms and tools. The program also includes additional online study aids, resources, and online testing. University/college Faculty, contact us for information related to incorporating Evidence-based Health Coaching into course curriculum. One Free Test attempt when the test is completed within 12 months of purchase. Additional test attempts (if needed) may be purchased in the Member's Store. Membership begins on the date of purchase or registration and expires on the 365th day at 12:00 Midnight EST. Current NSHC membership is required to log in to access the E-Manual and the Members Only area of the website for re-printing certificates, updating license/credential information, and to access tools, study resources, testing, and discounted products. NSHC's CHC Member Registry. Used by employers to validate one's Health Coach Certification status. A current NSHC membership, current Health Coach Certification, and an active, unencumbered professional license/credential are required to be listed as "Active" in the Registry. A current professional license must be maintained in NSHC's database for the 5-year term of CHC certification. You must log in as a current member to update this profile information. To view NSHC's program content, click here. Association representative may email us at info@nshcoa.com to schedule a call for details. Provide dates and times you prefer for the call. a. Request an E-Invoice, payable online through PayPal (our credit card processing company). A PayPal account is not required w/E-Invoicing. Email: info@nshcoa.com the following: company name, contact person name, email, number of programs desired, the "Ship to" address (Street/city/state/postal code) and the name and email of the person receiving the shipment. b. Pay using Electronic Funds Transfer (EFT)- Email info@nshcoa.com for EFT information. Include your company name, the contact person's name and email, the number of programs ordered, the "Ship to" address for your order (Street/city/state/zip) and the name and email of the person receiving the shipment. International - UPS Expedited Shipping: email info@nshcoa.com for rates - include the destination address, phone #, and zip code in your email. **NSHC may change its standards, policies, practice recommendations, membership requirements and costs from time to time in accordance with research, clinical best practice, healthcare reform, and market trends. Your periodic and continued use of this site is required to stay abreast of any change(s) that may occur. For answers to specific questions, email info@nshcoa.com or call 888-838-1260. Calls are returned during regular business hours. Thank you! 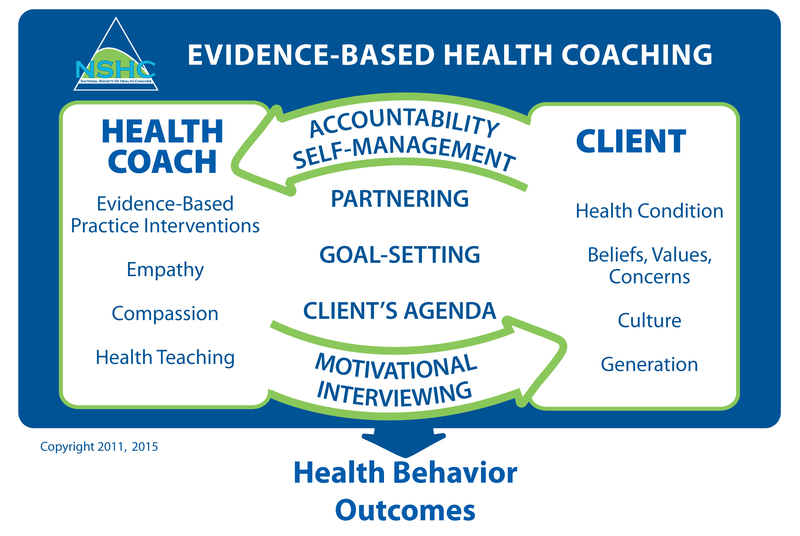 The National Society of Health Coaches is the health coaching division of Miller & Huffman Outcome Architects, LLC.